Introducing the Federal Republic of Germany which can be described as a typical Western European country with its own traditions, history and values. Statistics show that the population of Germany can be currently estimated at around 82,8 million people. The dominant ethnic group is German (81%) with 12% of the total population being immigrants. The official language is German. German nominal GDP per capita is estimated at around 53 276 USD. The Official currency is the Euro (EUR). Germany is a member state of the European Union and the Schengen area, which provides many benefits for its residents. Immigration legislation states that if you are a non-citizen of the European Union and you intend to stay in Germany in excess of 90 days consecutively or if you want to exercise business activities or work, then you must apply for a residence permit, limited or unlimited. If staying short-term for a period of up to 90 days, a German visa is required. The law currently provides several major grounds for doing so. Immigration services in the Federal Republic of Germany are well developed, even though immigration policies can be very strict. The Federal Office for Migration and Refugees (http://www.bamf.de), which is responsible for immigration issues, does offer residence permits, known as Golden Visa, on the basis of investment: if you purchase real estate in Germany costing not less than 300 000 EUR or invest 200 000 EUR in a recently opened business. Still, it may be quite difficult to obtain a residence permit in Germany, because of strict legal regulations. In order for immigration to Germany to be lawful, an immigrant needs to follow all the requirements laid out in the immigration law of the Federal Republic of Germany. There are several possibilities, depending on the purpose of your visit. If you are not a citizen of a visa-free country, you will need a visa or Schengen visa in order to visit Germany. If you plan to immigrate to Europe and reside in Germany for a long period of time, exceeding 90 days – you will need a residence permit, which can be acquired on several grounds, as detailed in German immigration law. Immigration statistics in Germany have been dynamic since the beginning of the 20th century. Germany was in the center of two world wars, it survived economic crisis as a result of WWII, as well as the effects of having its borders redrawn repeatedly over the last century. Currently, immigrant populations in Germany are dominated by immigrants from other member states of the European Union (42,6%) and Turkey (14,9%). The number of immigrants from the Middle-East is growing rapidly due to the crisis that has been gripping southern Europe. A strong German economy has already provided many jobs for immigrants, which explains why Germany is object of an interest for immigrants, despite the fact that Germany usually does not allow immigration without any reason. The most popular city by population is Berlin with a population of 3 520 031. The other two biggest cities by population are Hamburg and Munich, which together have about the same population as Berlin. The population of Berlin has increased by approximately 70 000 people over the last five years. As in many other European Countries, the general level of urbanization in Germany is quite high - the majority of the population resides in urban, not rural areas. If you want to immigrate to a European country with a strong economy and low unemployment rates (3,4% for December 2018). Germany may be a good choice, however, it may be quite difficult to obtain a residence permit. The Federal Republic of Germany is a member state of the Schengen area. 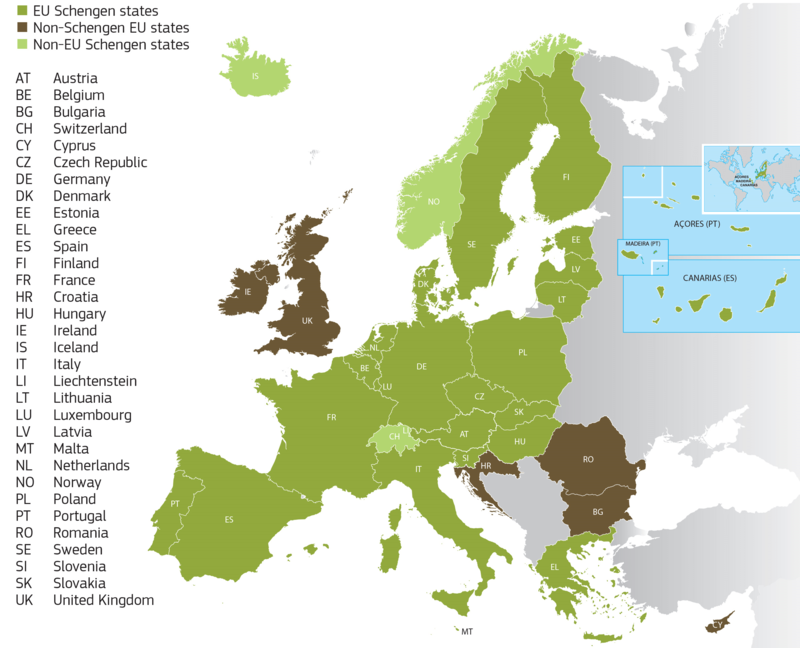 Countries of the Schengen Agreement have abolished passport and immigration control at their common borders and for travel between their member states. Member countries also recognize Schengen visas issued by other Schengen states. On the outer border, or upon first entry to the Schengen area, normal immigration control procedures apply, however admission to any Schengen country is considered admission to the whole Schengen area (all member countries), with no further immigration checks needed. Due to the large flow of illegal immigrants over recent decades, Germany has very strict immigration policies, and is known to conduct its border checks very carefully. One of the options, which would allow a non-EU citizen to apply for a residence permit, would be purchasing real estate in Germany costing not less than 300 000 EUR or investing 200 000 EUR in a recently opened business. This kind of investment requires quite a large amount of funds, unlike the investment program in Latvia. Tourist & Visitor Visa – if you want to enter Germany due to visiting friends or family, or for tourism and sightseeing purposes. Family Reunion Visa to Join a Relative or a Partner – a visa for family members and spouses of German residents, who want to join them in Germany. Job Seeker Visa – grants holder the opportunity to relocate to Germany and search for a job. Studying & Language Learning Visa – grants holder right to enter Germany with the sole purpose of attending a language course or to continue their studies at an educational institution in Germany. Working Visa – for applicants who are already employed in Germany. Business Visa – is meant for businessmen in need to stay in the country for a time period longer than 90 days within 6 months, having the purpose of doing business. Airport Transit Visa – it is rarely required by a very limited number of third-country citizens that need to pass through one of the German airports on their journey to final destination. Guest Scientist Visa – for scientists or researchers who have been invited by a German institution to perform a study or research. Training / Internship Visa – grants its holder the opportunity to attend a training or internship to citizens of third-country nationals. Trade Fair & Exhibitions Visa – for visitors planning to participate in a trade fair or exhibition. Visa for Cultural, Film Crew, Sports, and Religious Event Purpose – for foreigners planning to enter Germany in order to participate in a cultural, sports or religious event or as part of a film crew. German legislation is not very flexible when it comes to the provision of residence permits for non-EU citizens. Many European countries, such as Latvia or Estonia, provide more opportunities for potential investors or immigrants in order to qualify for a residence permit. Currently there are several ways to obtain a residence permit in the Federal Republic of Germany for non-EU citizens: immigration of a skilled worker with at least 3 years of experience; Company formation investing 200 000 EUR and creating at least 5 jobs; getting a degree at ta German university; buying real estate for 300 000 EUR. One of the biggest waves of immigration to Germany took place in the 1960s. Because of a shortage of workers during the Wirtschaftswunder ("economic miracle") in the 1950s and 1960s, the West-German government signed recruitment agreements with such countries as Italy, Greece, Turkey, Morocco, Portugal, Tunisia and Yugoslavia. These agreements allowed the recruitment of workers from these countries for the industrial sector, which lacked qualified workers.